‘Unprecedented’ effect of Salvation Army-run county temporary shelter keeps doors open. 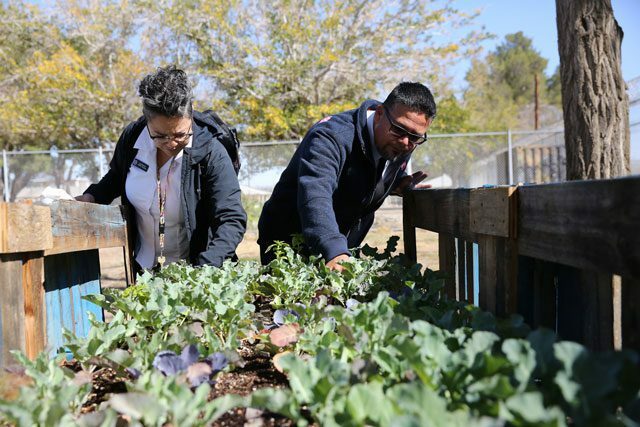 When you arrive at The Salvation Army-run homeless shelter in Antelope Valley, California, the presence of the past is undeniable. 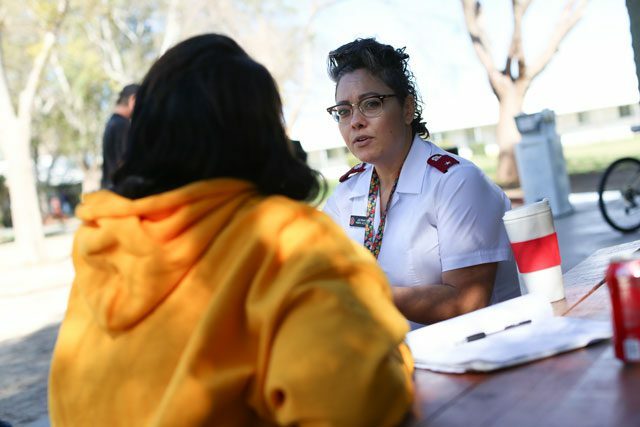 The Army operates the Los Angeles County shelter out of an abandoned mental hospital—with an address that includes the law code involved in temporarily committing individuals, 5150—and much of the preexisting structure and signage remains the same. Antelope Valley Corps Officers Lts. 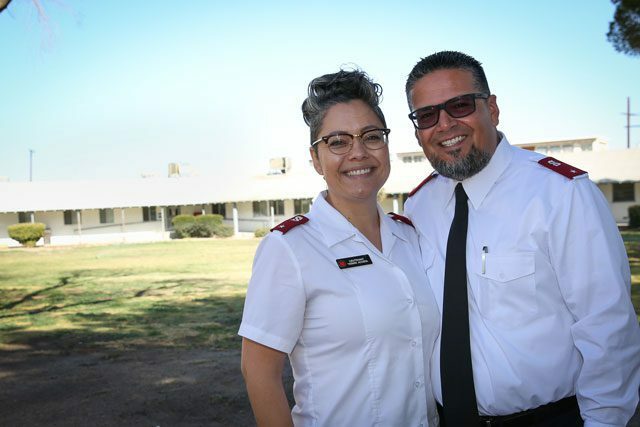 Hector and Yasmin Acosta outside The Salvation Army homeless shelter in Antelope Valley, California. 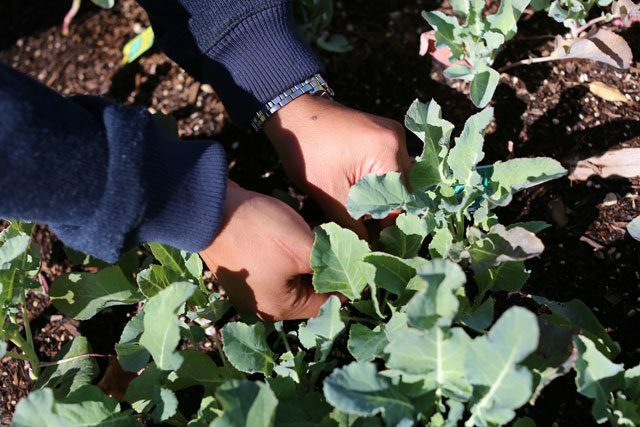 Hector Acosta tends to a vegetable garden on site. When residents come in, they’re asked about their skills or ways they’d like to engage. It’s not required, but it’s a way of pitching in and building community. Art from a resident-led painting class guides the way to the sleeping quarters. The paintings share some story of the residents’ experience with The Salvation Army, and each was donated by the artist for use in the shelter. 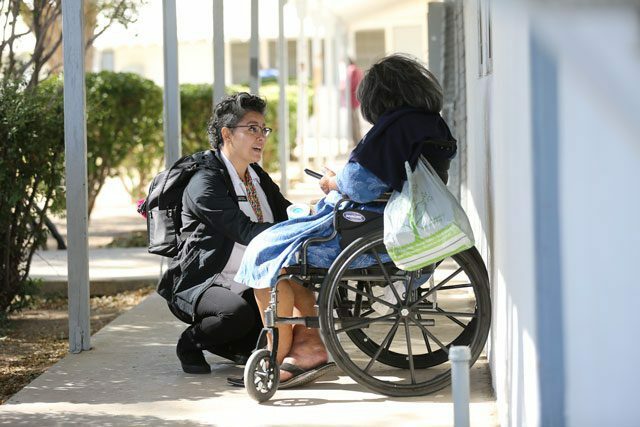 Yasmin Acosta speaks with a resident. When he arrived, there weren’t any beds available. But after someone didn’t show, Joe got his spot. 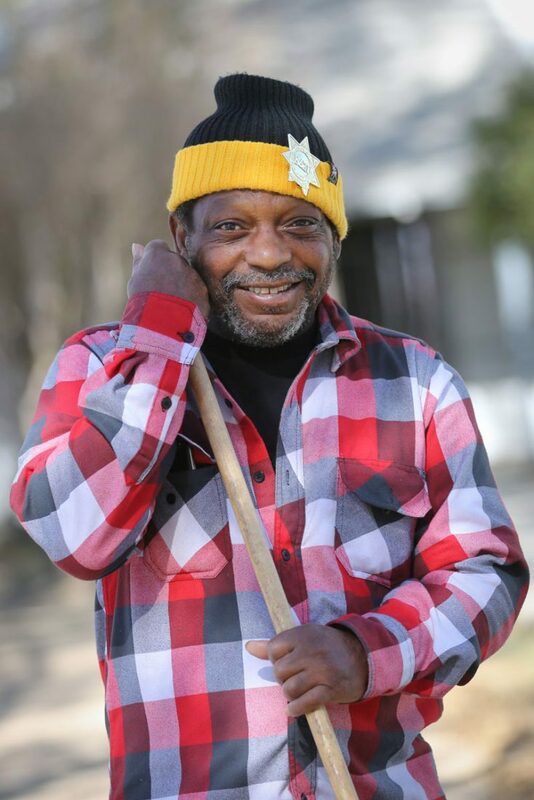 A shelter resident helps as groundskeeper on the property.